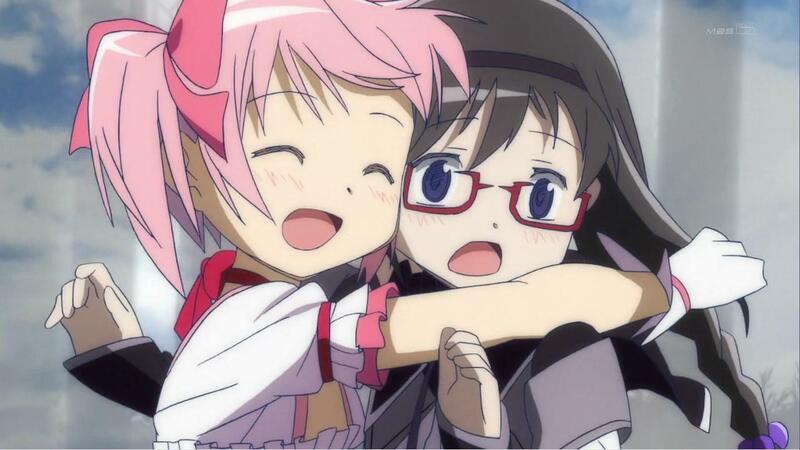 What makes Puella Magi Madoka Magica a 10/10 for me? 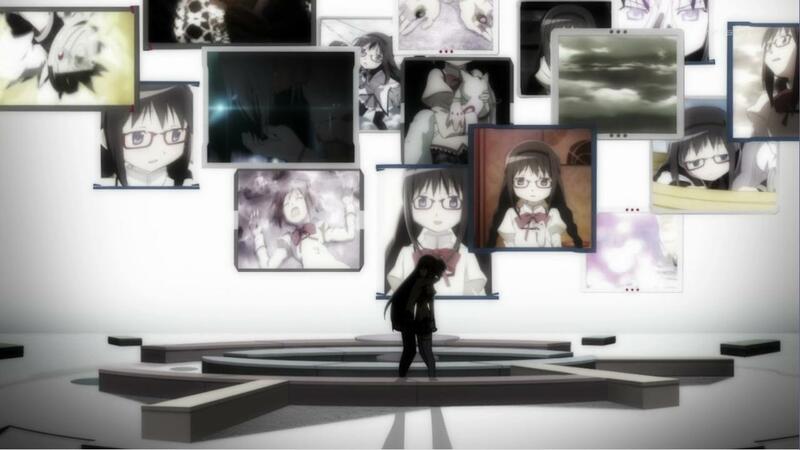 We’re all going to have a lot of memories from Madoka. Some will be sorrow. Some will be pleasure. Others, too, will be fright and confusion and heartbreak. If you recollect, the series took our emotions on an unexpected journey, able to manipulate our feelings into whatever this anime wanted. But which of those emotions on this journey will you remember? 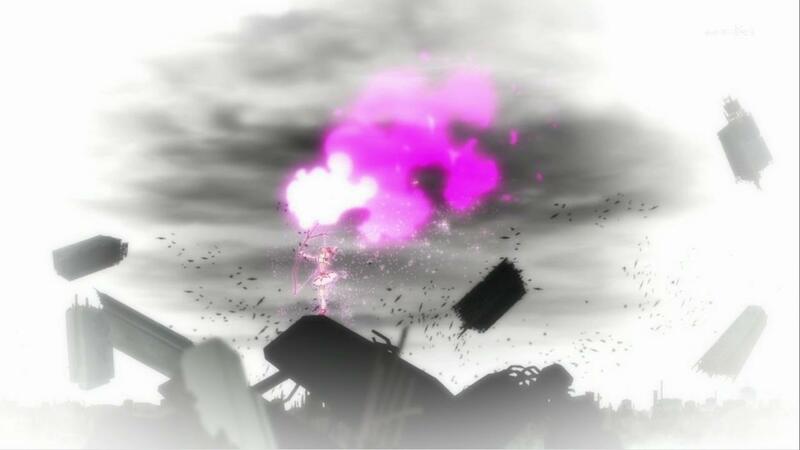 What memories will you have from Puella Magi Madoka Magica? Episode 10 of Puella Magi Madoka Magica provides us with Homura’s backstory, depicting her metamorphosis from her frail, timid, and emotional former self to the Homura we’ve grown to love and cheer for. The previous timelines through which she lived help us understand Homura a little more, as well as show us some interesting storylines involving her relationships with the various characters. But that wasn’t the best part about the episode. What would Mami do if she were still around? 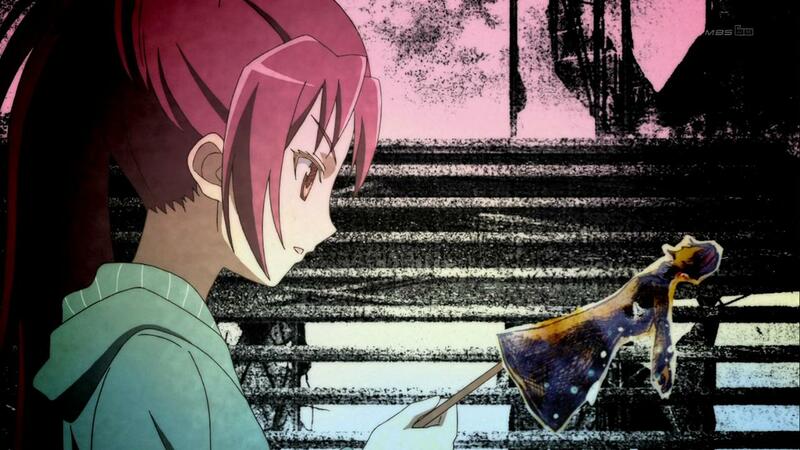 One of the things I’ve liked about Puella Magi Madoka Magica has been the whole mystery aspect. We’ve been following Madoka, an outsider to this isolated realm known only to Puella Magi, around for most of the series, and together, we’ve steadily been learning about these magical girls, their lives, and their morals. And through this process, we’ve seen great transformations in character. Throughout the course of the series, there have been obvious and subtle Faustian themes in Puella Magi Madoka Magica (or as some say, Mahou Shoujo Madoka Magica). There’s the personification of white, fluffy evil, Kyubey (or as some say, QB or Kyuubee), the whole soul/wish exchange (the SEC should really look into regulating this), and so on. And while I agree with these strong Faustian themes, I can’t help but look to other themes as well. What I see is Madoka becoming a Shakespearean tragedy. And another theme I see creeping into the series is the seven deadly sins, too. 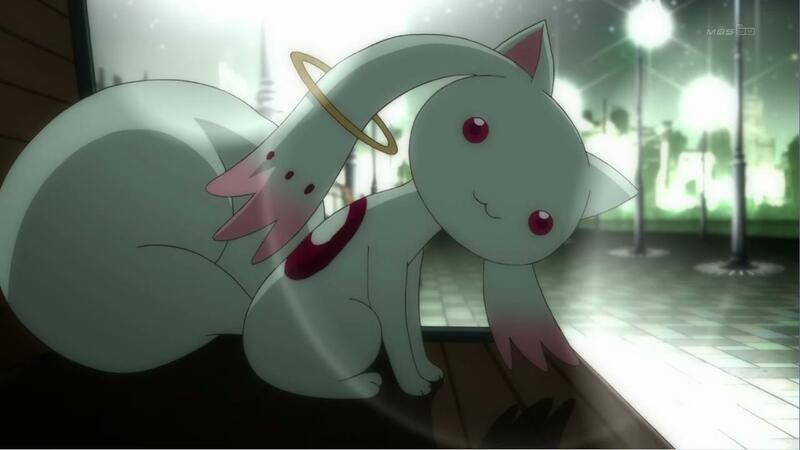 Everywhere I look (probably 1-2 sites), I always hear about how evil Kyubey is and how wonderful Homura is. After episode 6, I’m beginning to lean the other way. 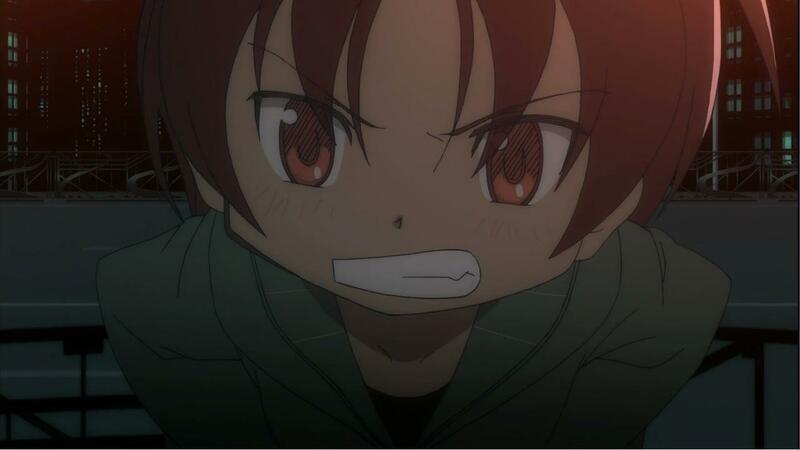 In fact, I’ll argue that Kyubey is not evil and Homura really isn’t all that good, either. 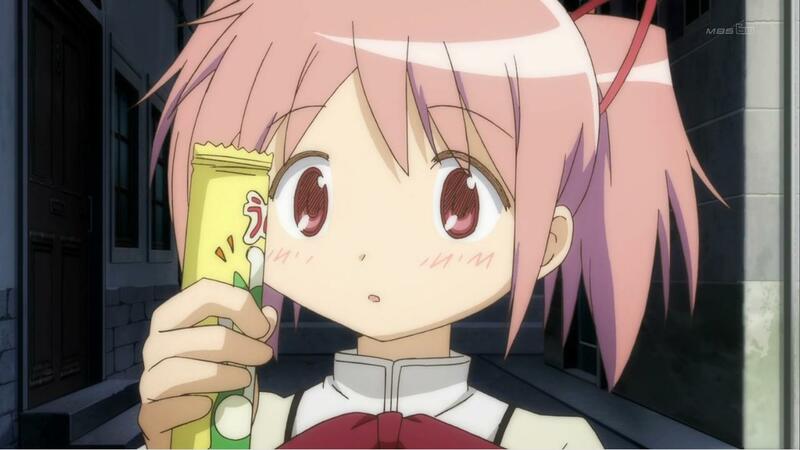 You are currently browsing the archives for the Puella Magi Madoka Magica category.